Dozens of University of New Brunswick (UNB) scientists have been awarded a combined total of $4.3 million in grants and scholarships from the Natural Sciences and Engineering Research Council of Canada (NSERC). The funding is part of a larger $465 million in funds for scholarships, fellowships, research supplements and equipment grants announced by Kirsty Duncan, federal minister of science, at an event at Hamilton’s McMaster University today. 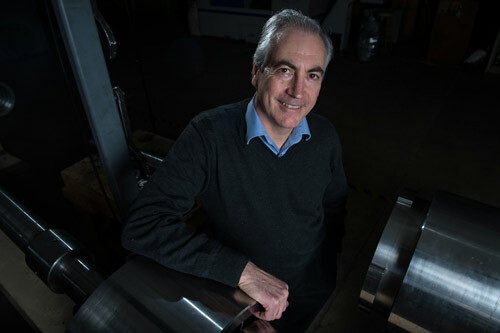 UNB’s 34 recipients include John Spray, professor of Earth Sciences and director of the Planetary and Space Science Centre (PASSC), who received $425,000 over five years to support his research into shock-related processes in planetary materials, or how solid materials react to high-speed deformation and damage. A large portion of the grant money will go towards supporting students at the undergraduate, graduate and potentially even postdoctoral levels, as Dr. Spray builds and expands his team. His research will adopt three approaches – the first being laboratory experiments using impact tests. The second approach will involve examining terrestrial impact structures – learning about how craters on Earth are made and how that knowledge can be applied to other planets and planetary bodies, such as the moon and Mars. Finally, he and his team will continue to study extraterrestrial materials. The results will help to support an aspect of Dr. Spray’s wider research efforts into developing materials to help better protect people and infrastructure from high-speed impact damage. UNB’s other recipients include Cheryl Patten, associate professor in the department of biology, who received $145,000 over five years to support her research into the molecular mechanisms of plant growth-promotion by beneficial soil bacteria. Yonghao Ni, professor of chemistry and chemical engineering, received $185,000 over five years to help develop new technologies for the pulp and paper industry. Four doctoral students also received scholarships to help fund their research. “We are proud of these faculty members and students and the work they do, happy that the strength of their research programs and abilities have been recognized and supported by NSERC,” said UNB’s President and Vice-Chancellor Eddy Campbell.